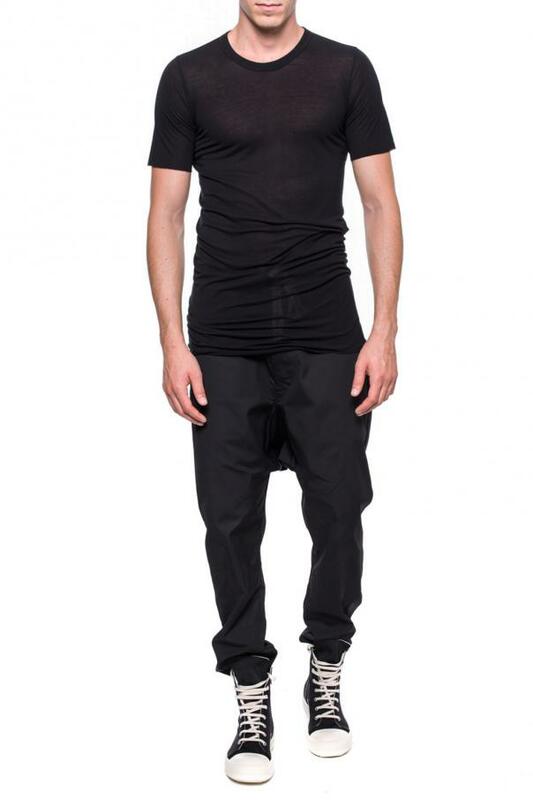 Black T-shirt from Rick Owens. 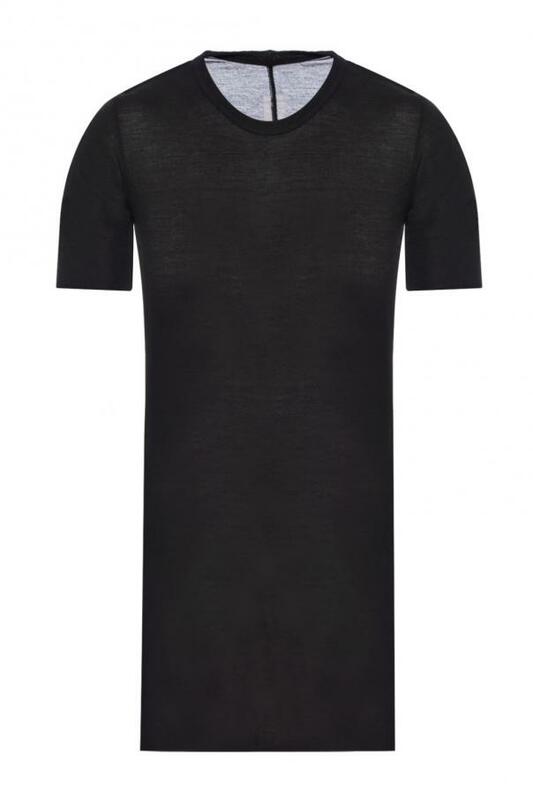 Crew neckline with an elasticated hem. Bottom and sleeves completed with a raw finish.